Okay, so consume isn't entirely accurate. But what started as NewEgg's house brand has continued to show unusual vitality and growth each year, and here at CES 2013 we continue to see them growing and expanding. Rosewill may have begun as a house brand, but in the process they're evolving into something bigger. Try to imagine Sam's Choice or Insignia products, but with gradually increasing quality, and gradual appearance on store shelves outside of their home base and you might get some idea of what's going on with Rosewill. As far as cases go, Rosewill is aiming to follow up our personal favorite Thor v2 enclosure with something they call Throne. Throne is an essential refinement on the Thor v2 design, including integrated dual-channel slider-based fan controls, four USB 2.0 ports, two USB 3.0 ports, and a hotswap SATA bay. 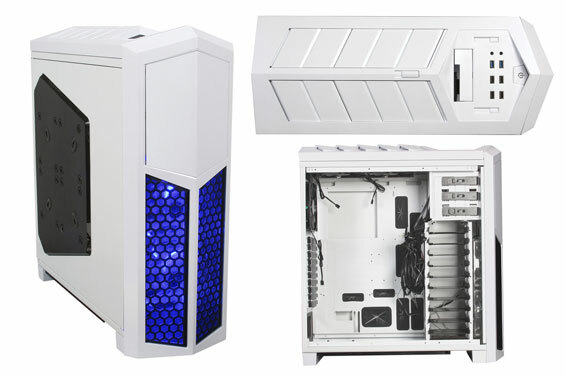 At the same time you get a slightly cleaner look (available in white with blue LED fans or black with red LED fans). We should be getting one in for review sometime in February if not earlier. What we already have in for review, and should be going up within the next couple of weeks, is the Armor Evolution. The Armor Evolution was geared to be a reasonably small case that could still support an E-ATX board, but Rosewill's engineers extruded the top vents to increase headroom for 240mm/280mm radiators. From the looks of it, the Armor Evolution could wind up being a smaller, more affordable alternative to the Thor v2 (already a budget champion in its own right). 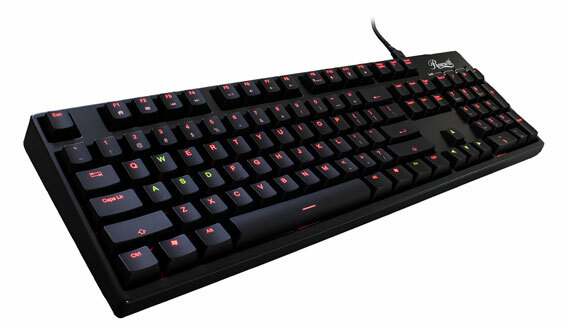 Rosewill is also continuing their mechanical keyboard push, and their keyboards continue to rank among the most affordable entry-level mechanical keyboards available. I spoke with a product manager who asserted a desire to keep the designs as clean and simple as possible, and that conservative approach is something I can get behind. This year they had a dual-illuminated keyboard available called the Helios, with both green and red backlights, along with toggleable brightness and illumination zones. It's an attractive keyboard and will be available with four different types of Cherry MX switches (black, blue, brown, and red), but I'm still waiting something with straight-up color-configurable backlighting like Alienware laptop keyboards. Given the increased complexity of implementing that kind of solution in a mechanical keyboard, I may be waiting a while. 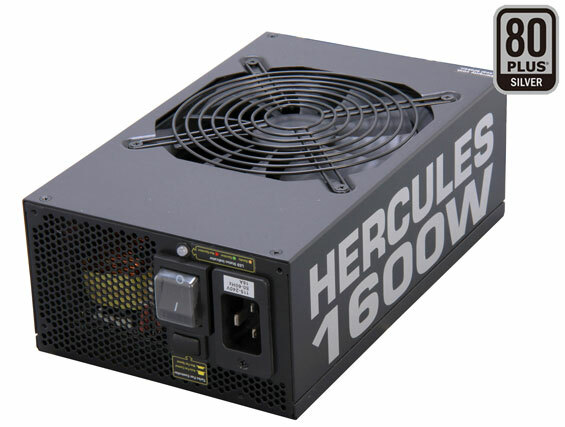 Outside of their peripherals, Rosewill was showing off their monstrous Hercules 1600 power supply. It's the size of a small shoebox and features 80 Plus Silver certification and modular cabling. 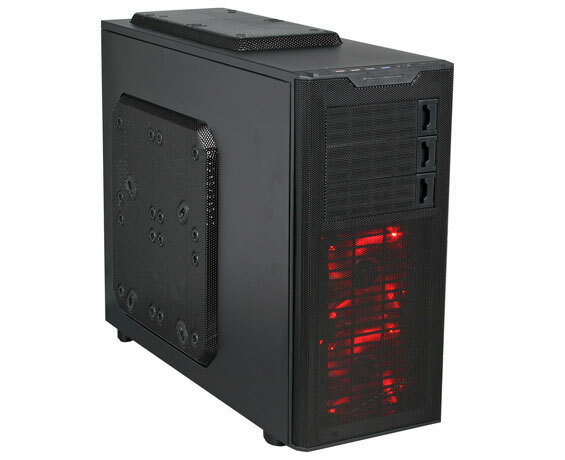 It also includes a turbo fan switch for when powering just two GTX 690s isn't sufficient, and comes with all-Japanese capacitors and a five year warranty. And lest I forget, something I found pretty cool: they're offering a super-slim HDMI cable with RedMere technology. 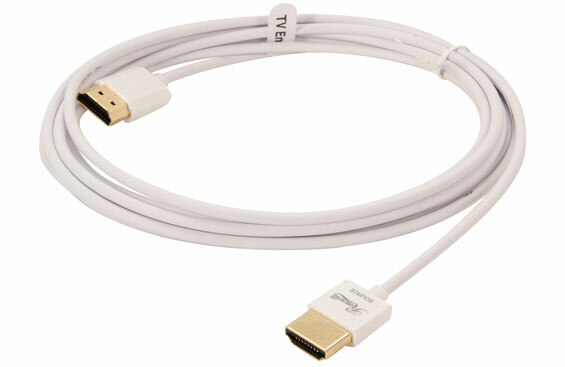 The cable is designed to only function in essentially one direction (one connector is labeled source and the other TV), but it's substantially thinner at every point than a conventional HDMI cable. I think I was mostly just happy to find an HDMI cable that would actually fit the oddly low-placed HDMI port on my Radeon HD 7750. I'm still waiting something with straight-up color-configurable backlighting like Alienware laptop keyboards. That part of the article piqued my interest! So, I went to NewEgg, and lo and behold, they had them in stock. Not only did they have them in stock, but the 15 foot cable is on sale for $16.99 (at time of writing)!